Home Unlabelled Say Goodbye To Underarm Odor Forever With These 10 Effective Home Remedies! Everyone wants to protect the body from excessive sweating and underarm odor. Perfumes and deodorants are far away from the best choice. 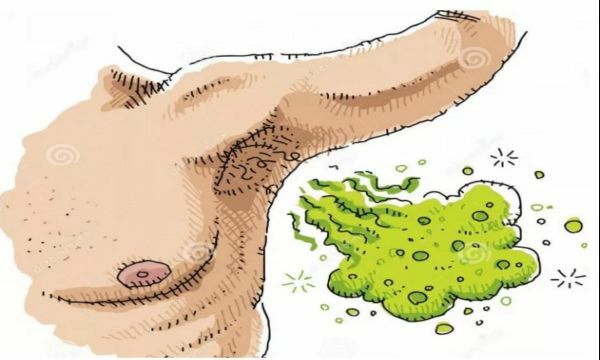 If you don’t want to chemical based products or if you have tried using deodorant eliminate underarm odor anymore, you should definitely try these powerful natural ways to get rid of it. Although it may seem unappealing, body hair plays an important role for your body because it absorbs the moisture which makes good grounds for bacteria proliferation and underarm odour. Shaving your underarm hair creates a number of issues like skin irritation, because the razor makes way for bacteria to thrive. Depilatory creams, shaving creams and other lotions, which also irritate the skin, give pretty much the same effect as razors. Mix a little water, ACV, and a splash of lemon juice, mix well and transfer the solution in spray bottle. Spray the solution under your arms before getting dressed in the morning. Feel free to carry the bottle at your workplace in case you need to reapply it. The bacteria responsible for the unpleasant odor will be held under control and well balanced with the help of this solution. This shouldn’t come as a surprise because baking soda is commonly used for eliminating odours in the fridge or the laundry. It’s equally successful in treating underarm odours as well. This is a completely natural way of addressing this cosmetic issue. After you mix a little baking soda and a little corn starch, apply this mixture on your armpit so as to keep your skin dry and fresh all day. Use it as often as you need or before you get dressed. Apart from being used for numerous things, this powerful substance is also helpful in elimination of this unpleasant odor. Opt for odorless alcohol, such as vodka, in order to prevent smelling on alcohol. Spray some alcohol under your arms and remove the odor and bacteria right away. Of course, use it before getting dressed. Different skin problems, including the unpleasant odor can be solved with the help of this gentle oil. It is known for its antibacterial and antifungal properties, and people were fully aware of them for hundreds of years. Make a mixture out of few drops of tea tree oil and some natural rosewater, and then spray it onto the underarm area. This simple trick can help you eliminate the odor instantly. This substance has a number of uses and one of them is eliminating underarm odour. Simply mix hydrogen peroxide with water or natural rose water, and you get a healthy and natural way of eliminating the unwanted smell under your arms. Due to its ability to balance the pH level of the skin, this citrus fruit can be very helpful when it comes to eliminating underarm odour. Simply put a lemon slice on your armpit, let it act for fifteen minutes, and go fresh for the day. Lemon can also be used for removing household odours. You can eliminate the unpleasant odor right away by rubbing the arms with wet piece of alum.